hi there! 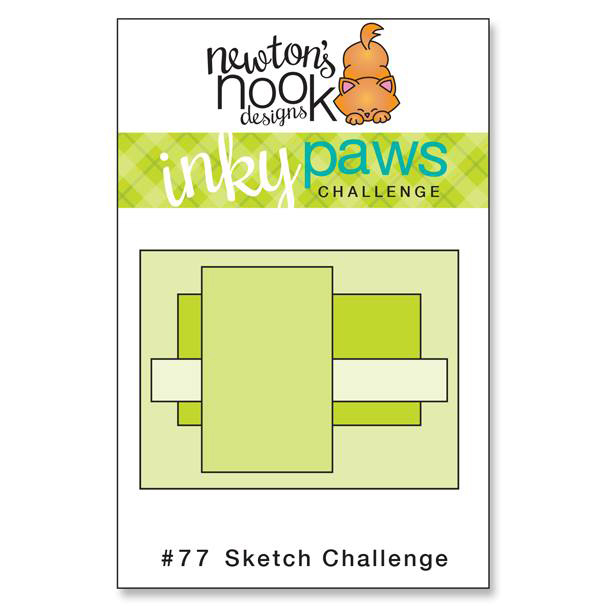 I'm popping in with a reminder to go and make a card for the Inky Paws Challenge #77! It's a super fun sketch and you have a week left to enter! 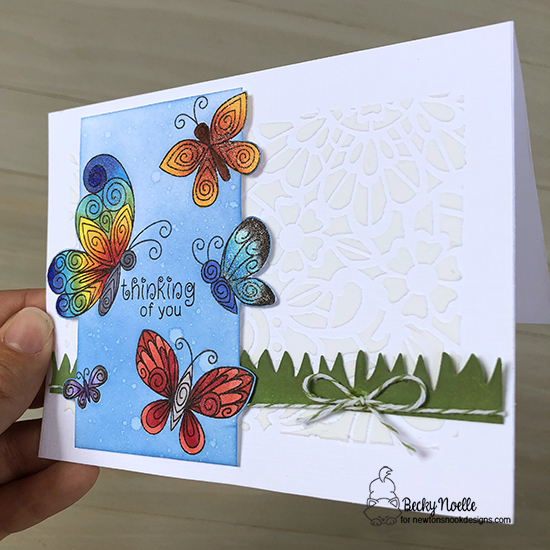 I masked off the rectangle for my lacy floral stenciling and then i tucked that fun strip of die cut grass border under my butterfly panel, simple but pretty! Those rainbow colored butterflies are gorgeous! And I love the background too! Such a lovely card! Such a cute and fun card, Becky!! The rainbow butterflies make me smile!